Unintentional administration of bupivacaine may be associated with electrocardiogram changes that promote the development cardiac arrhythmias. Ventricular repolarization markers (corrected QT, QT dispersion, Tpeak–Tend and Tpeak–Tend dispersion) are useful to predict cardiac arrhythmias. We aim to investigate the effects of bupivacaine on the transmural dispersion of repolarization and their reversion following intravenous lipid emulsion (ILE) administration. Fourteen pigs were anaesthetized with thiopental and sevoflurane and underwent tracheal intubation. After instrumentation, a 4 mg kg-bolus of bupivacaine was administrated followed by an infusion of 100 µg kg−1 min−1. QT interval, QTc:QT corrected by heart rate, Tpeak-to-Tend interval and QT and Tpeak-to-Tend dispersion were determined in a sequential fashion: after bupivacaine (at 1 min, 5 min and 10 min) and after ILE (1.5 mL kg−1 over 1 min followed by an infusion of 0.25 mL kg−1 min−1). Three additional animals received only ILE (control group). Bupivacaine significantly prolonged QT interval (∆:36%), QT dispersion (∆:68%), Tpeak-to-Tend (∆:163%) and Tpeak-to-Tend dispersion (∆:98%), from baseline to 10 min. Dispersion of repolarization was related to lethal arrhythmias [three events, including asystole, sustained ventricular tachycardia (VT)] and repeated non-sustained VT (4/14, 28%). A Brugada-like-ECG pattern was visualized at V1–4 leads in 5/14 pigs (35%). ILE significantly decreased the alterations induced by bupivacaine, with the termination of VT within 10 min. No ECG changes were observed in control group. 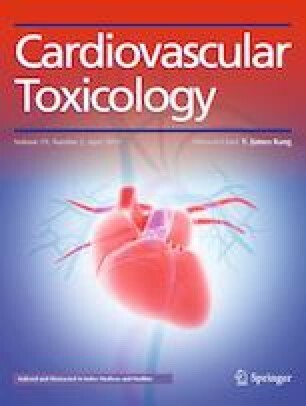 Bupivacaine toxicity is associated with an increase of transmural dispersion of repolarization, the occurrence of a Brugada-like pattern and malignant VA. ILE reverses the changes in dispersion of repolarization, favouring the disappearance of the Brugada-like pattern and VT.
C. De Diego and M. Zaballos have contributed equally. We thank Conn Hastings, PhD, from Edanz Group (http://www.edanzediting.com/ac) for editing a draft of this manuscript. This work was supported by a research Grant from the Ministry of Economy, Industry and Competitiveness of Spain, and Fondos FEDER. Reference: 11/00575. The authors declare no conflicts of interest related with this manuscript.